Another in an ongoing series where we track the creative and ludicrous ways in which the world describes the housing market, us included. There are no less than three metaphors awkwardly floating around in this statement below from a California real estate broker. Fun game! Can you name them all? "It was a great ride for a lot of investors but eventually the music stopped and someone had to pay the piper," says Mr Kane. "What was supposed to be a liquid asset becomes a ball and chain around your neck when you owe more than the market value of the property." Sounds absolutely frightening; some Lord of the Rings-type stuff. 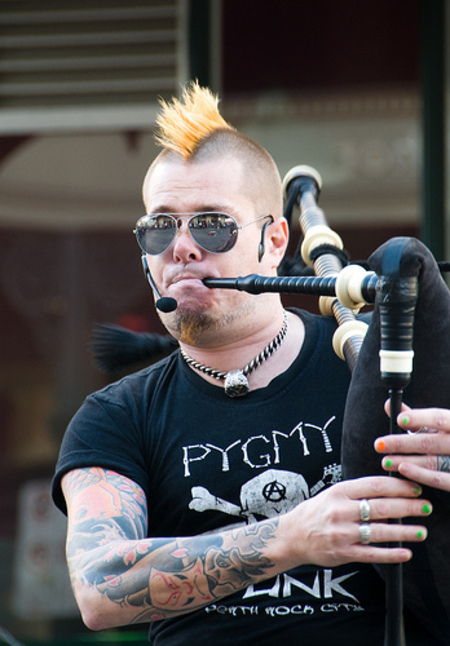 And that Piper guy sounds like a total jerk. Hat-tip to Alex Stenback for the metaphor. Photo by Charlie Chocolate.